Island Style Ocean View Condo - Steps to Sand, Surf & Shops! Aloha and welcome! 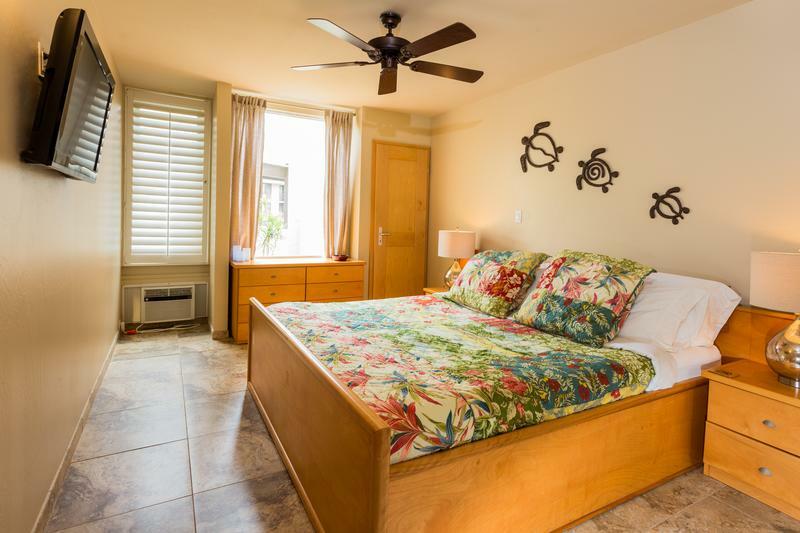 Hale Kamaole #214 is a 1Bed/1Bath, ocean view condo beautifully appointed and decorated Hawaiian style with artwork from local galleries and shops. Begin the day on your private lanai viewing the sunrise over majestic Haleakala with a steaming cup of java. Later, relax and enjoy island life while sipping a cocktail...watching the sun slide slowly into the Pacific. Reminiscent of old Hawaii, Hale Kamaole is known for its beautiful and spacious tropical grounds, low density, and relaxing vibe. "Hale Kam" is a large eight acre ocean-facing property with onsite parking, expansive green space, fragrant tropical flowers and swaying palm trees. The 853 square foot condo is conveniently adjacent to one of the property’s two swimming pools surrounded by a large flagstone deck and covered pavilion, along with 2 four-station barbecue areas and a full-size tennis court. 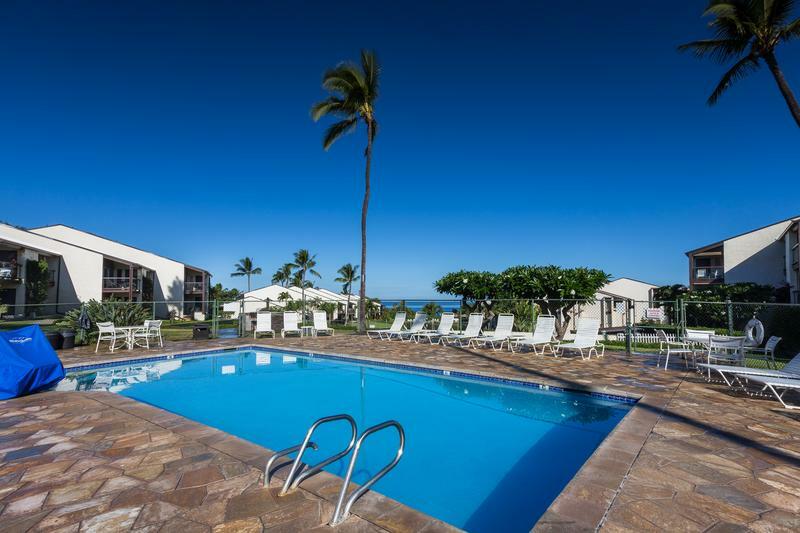 Located on the 2nd floor of Bldg 2, you’re just steps away from the soft sand and gentle waters of the Kamaole Beaches. Try snorkeling, swimming, whale watching, boogie boarding, body surfing or simply soak up the sun! A short walk away is the Kihei boat ramp, a launching point for a variety of snorkel cruises, whale watching tours, scuba charters and more. 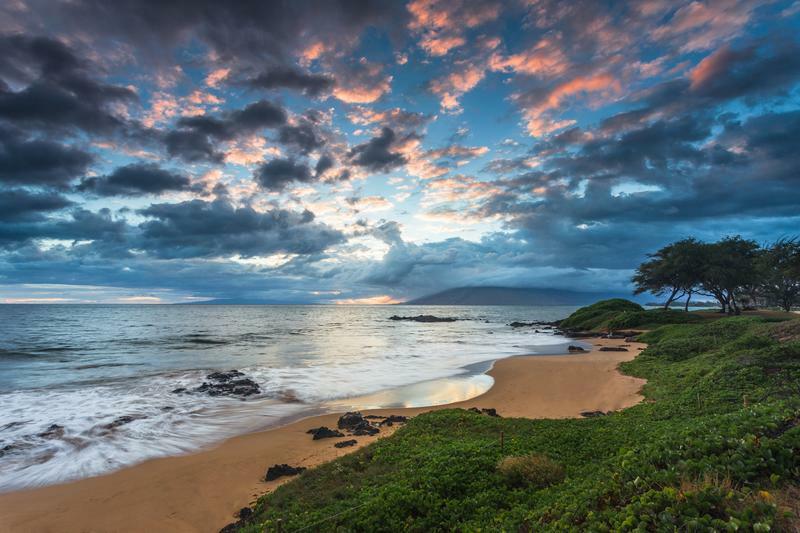 You’re also a brief stroll from many of Kihei’s best shops and restaurants. Last but not least, you’re just a 5 minute drive to Wailea resort shopping, world class golf and luxurious spas. Enjoy a fully equipped kitchen to prepare your favorite meals. Not in the mood to cook? Check out some of Kihei and Wailea's best restaurants nearby. Don't forget to peruse the menus in our guest information guide for more information. After a day of fun in the sun, enjoy your king size bed with tropical quilt and sink into soft white high thread count sheets and pillowcases for maximum comfort. The Murphy bed in the living room is queen size with tropical quilt and the same luxurious linens.